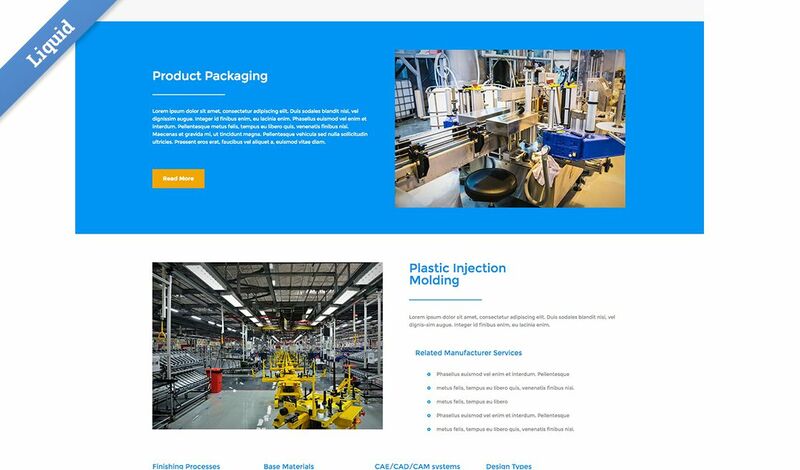 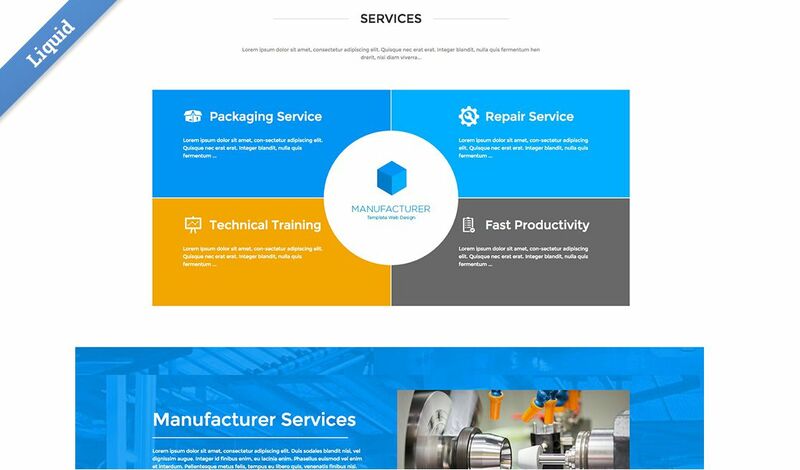 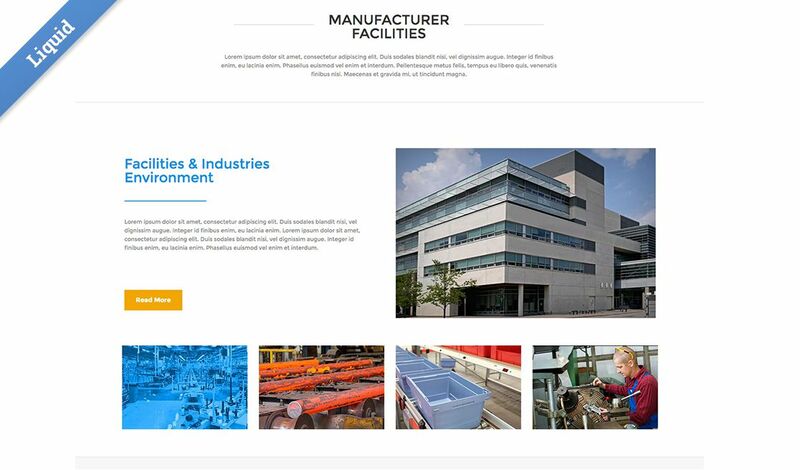 The Manufacturing template is designed for a company that manufacturers things, focussing on their services, facilities and equipment, certifications, resources & capabilities. 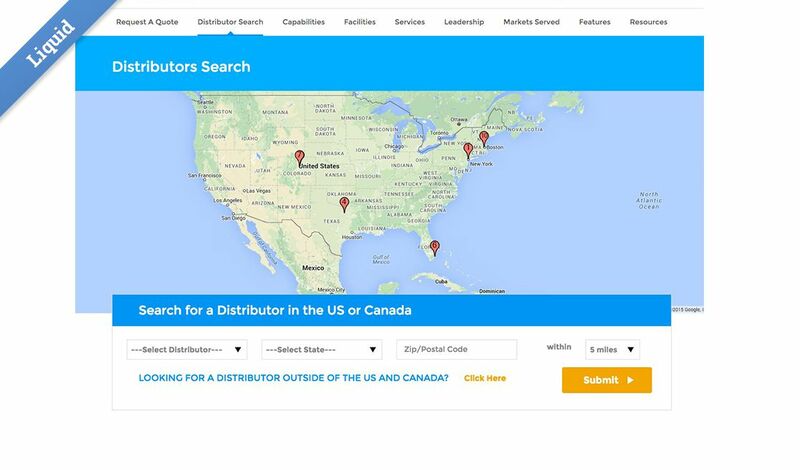 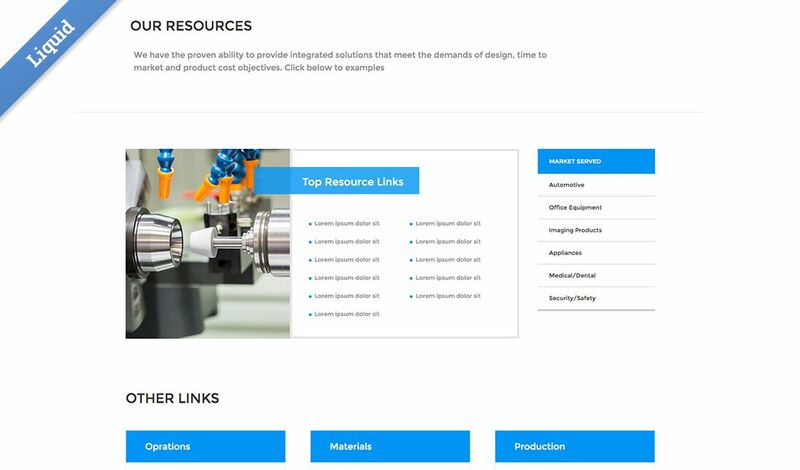 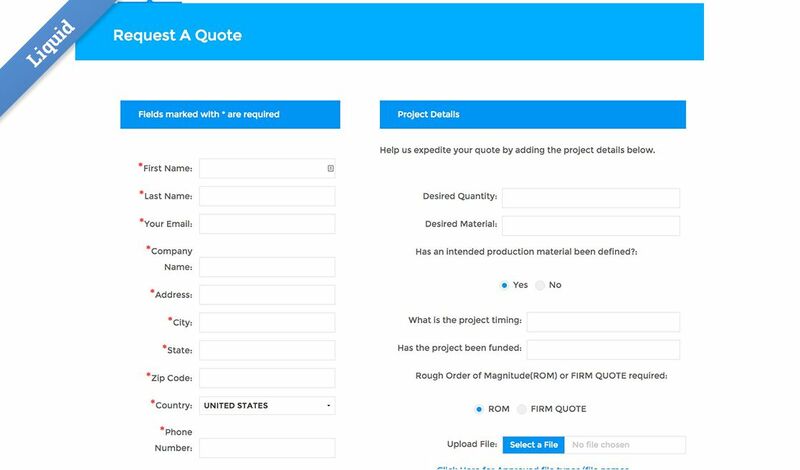 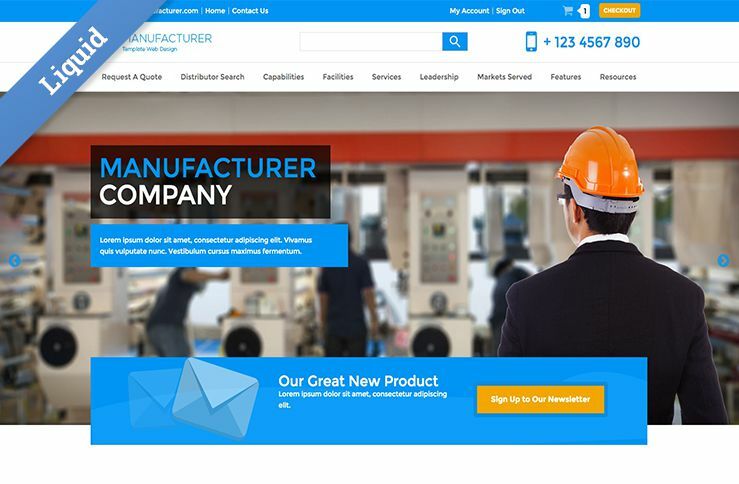 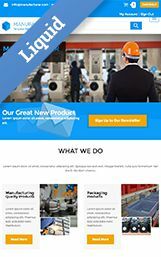 There’s a Request for Quote page to get you started as well as a Distributor search page so your visitors can find someone who sells what you manufacture. 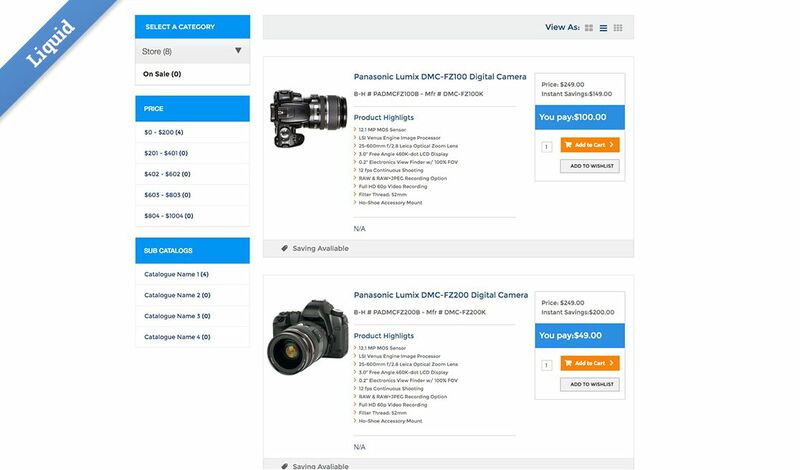 You can even sell your own stuff in the store. 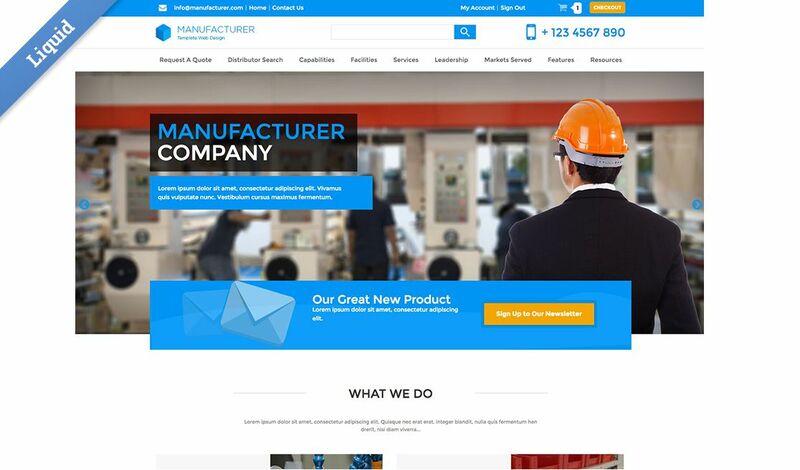 We tried to include the pages a manufacturing company may need, so remove what you don’t need and add what we might have missed, but this should give you a great start. 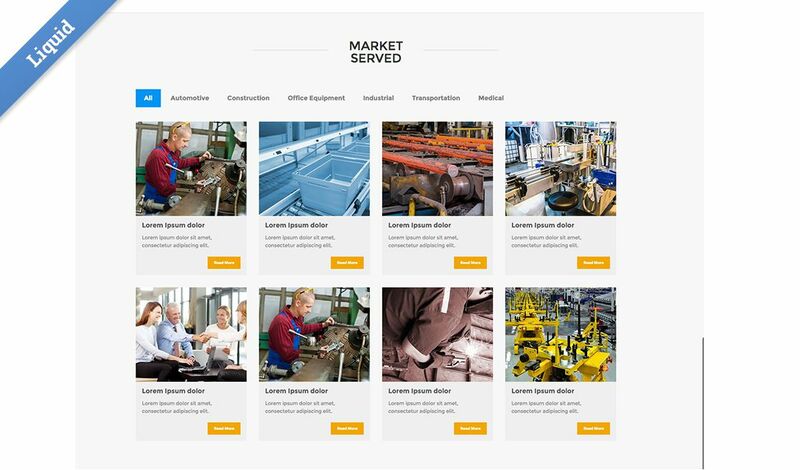 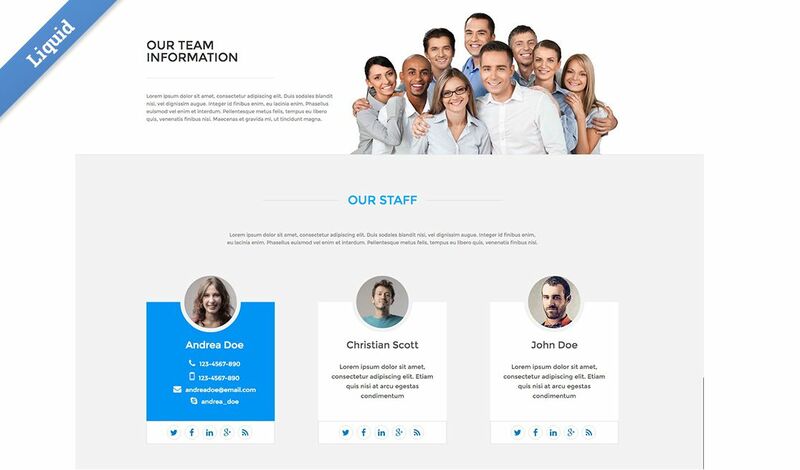 There are a number of webapps, such as Certifications, Distributors, Featured Project, Markets Served, our Staff, and more, making it easy for you and your client to quickly add and update content.